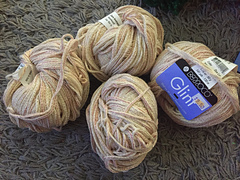 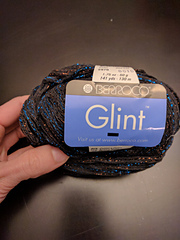 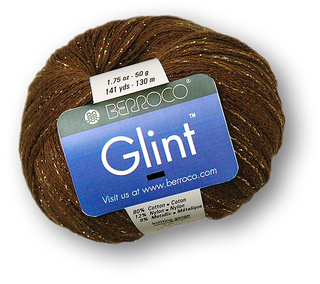 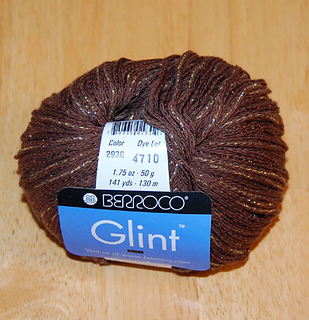 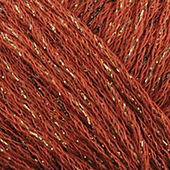 Berroco Glint™ joins our stable of softly glittering metallics. 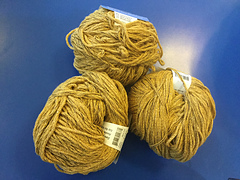 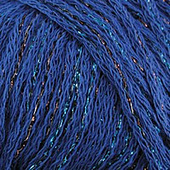 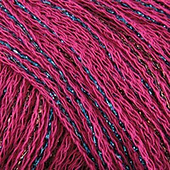 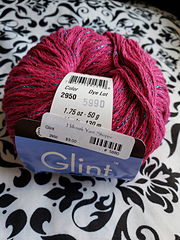 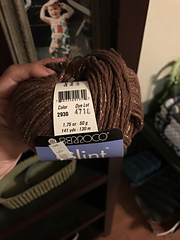 This yarn is particularly suited for casual summer garments. 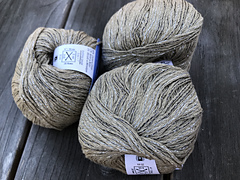 The metallic strand is nestled within a chain of soft cotton and crisp linen; the finished effect is special and subtly sophisticated.